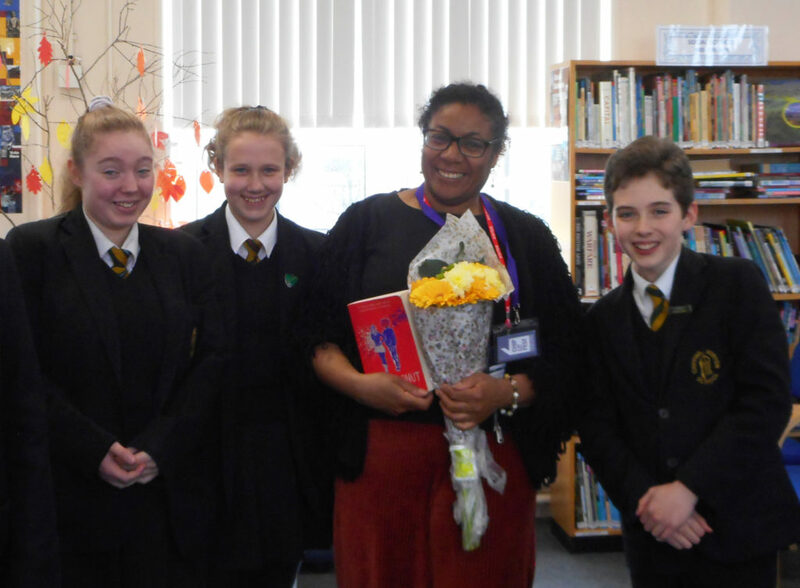 A selection of students from Year 8-10 enjoyed a wonderful talk by award-winning author Patrice Lawrence as part of this year’s Chip Lit Festival School’s programme. Patrice’s talk about her personal background and pathway to becoming a full time author was both engaging and informative. The students loved hearing about her books, Orangeboy and Indigo Donut as well as her new book, Rose, Interrupted and enjoyed hearing her read passages from her teenage diary! Many of the students bought signed copies of Patrice’s books and stayed behind during lunchtime to talked to her. We are very grateful to the Chip Lit Festival committee and Mrs Weaver (School’s and Young Person’s Programme Director) for organizing this brilliant event and of course to Patrice for visiting Chipping Norton School.